R K Shriramkumar belongs to a family of eminent Carnatic musicians who hail from Rudrapatna, a little village on the banks of the river Kaveri in Karnataka, South India. 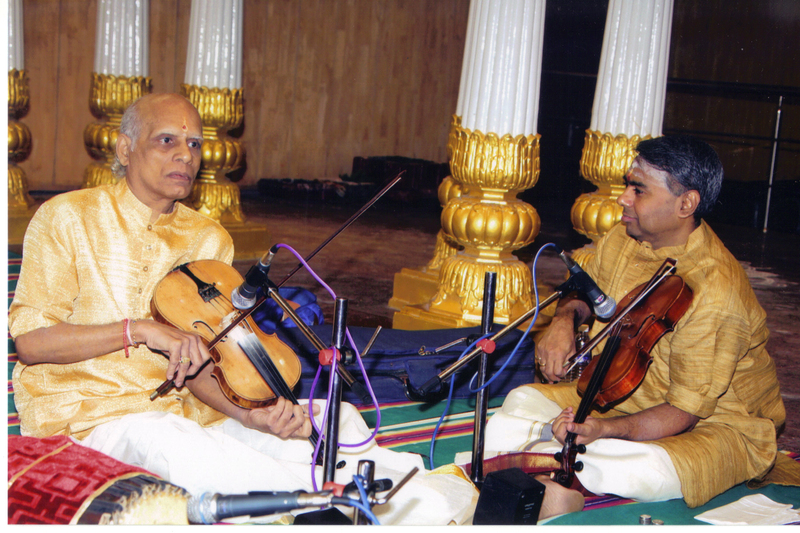 His grandfather Vidvan Shri R K Venkatarama Shastry, a veteran violinist, was one of the most respected musicians of the music fraternity. 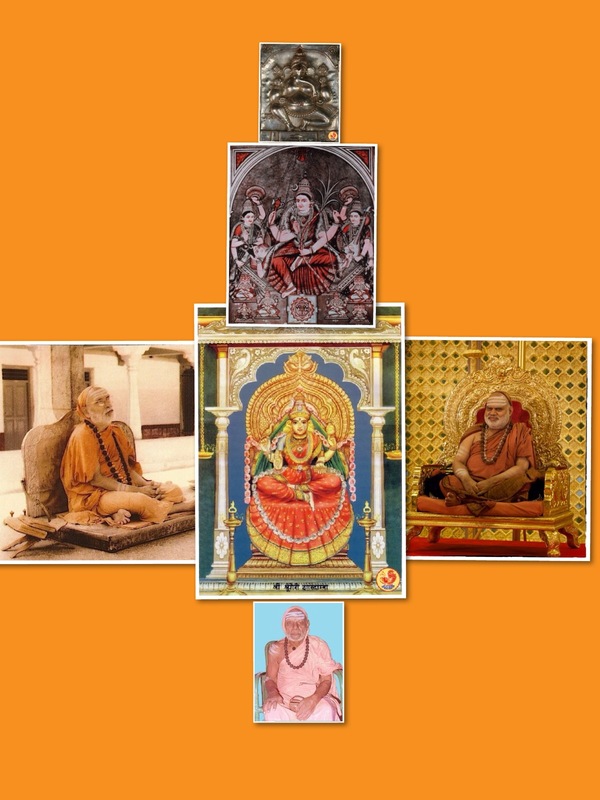 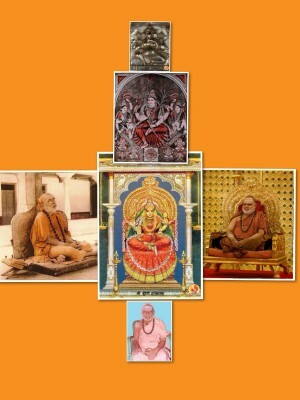 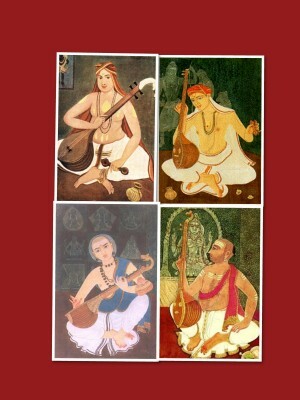 His grand uncles Vidvan R K Narayanaswamy, Vidvan R K Ramanathan, Vidvan R K Srikantan, his uncles the ‘Rudrapatnam Brothers’, Vidvans R N Thyagarajan & R N Tharanathan, Vidvan R S Ramakanth, his aunts Vidushi Ratnamala Prakash and Vidushi R N Srilatha are all musicians of great repute. 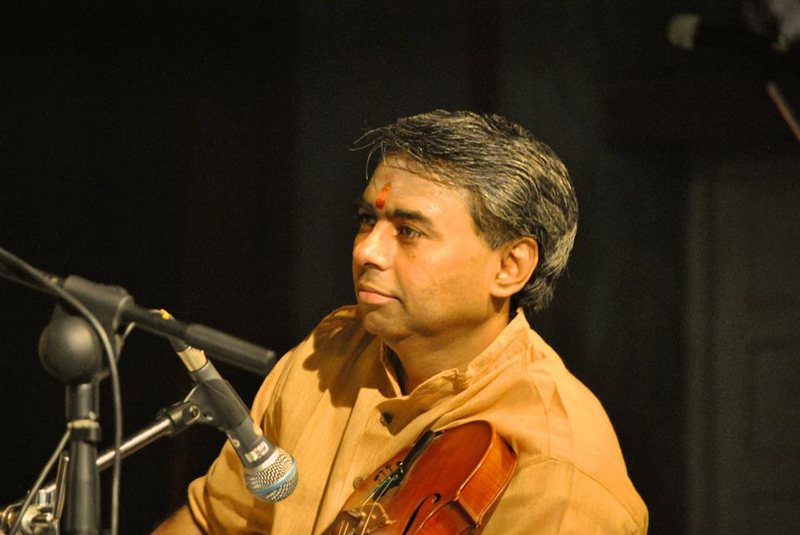 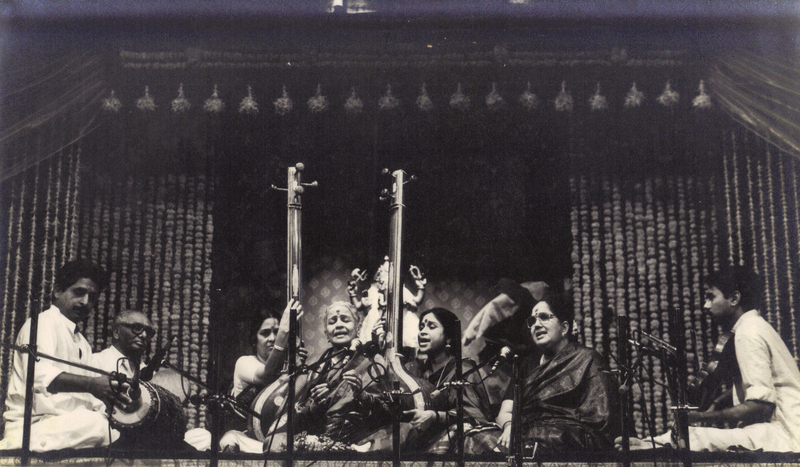 Having had his initial lessons in violin playing from Vidushi Smt Savitri Satyamurthy, Shriramkumar was trained in vocal music and violin by his grandfather Shri R K Venkatarama Shastry. 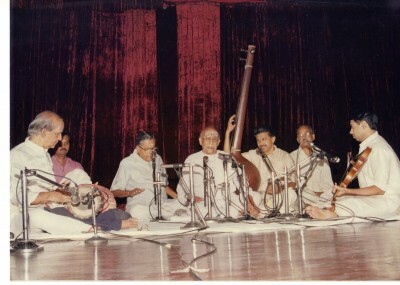 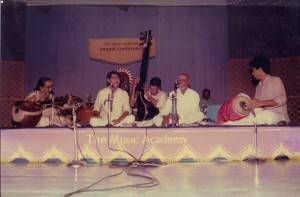 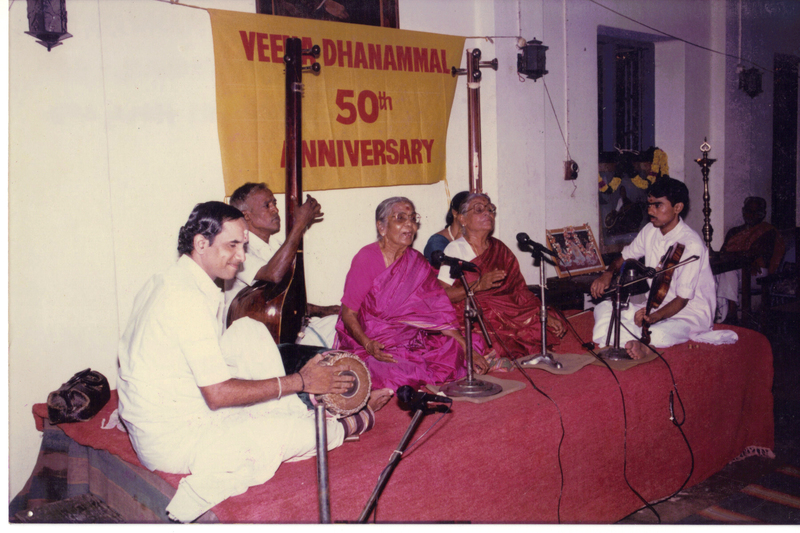 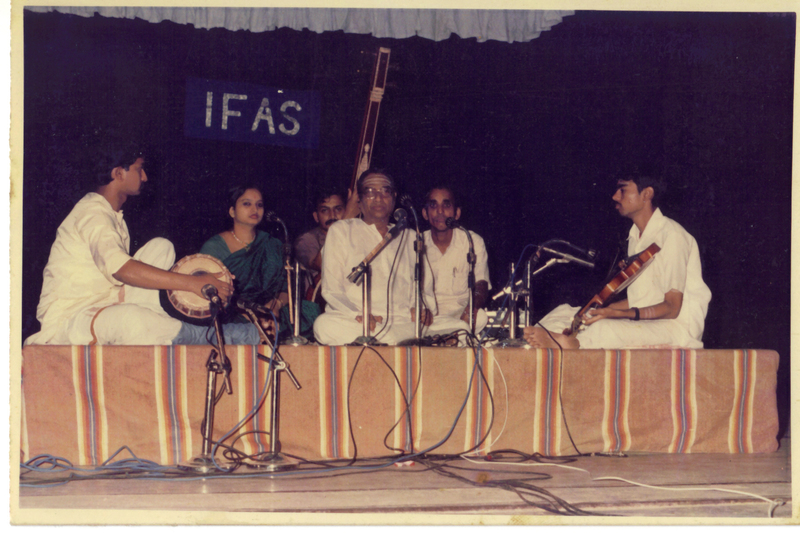 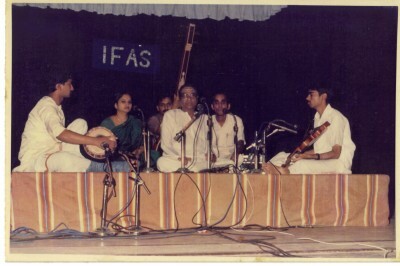 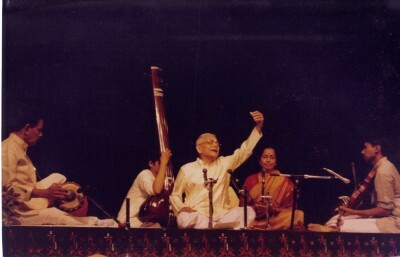 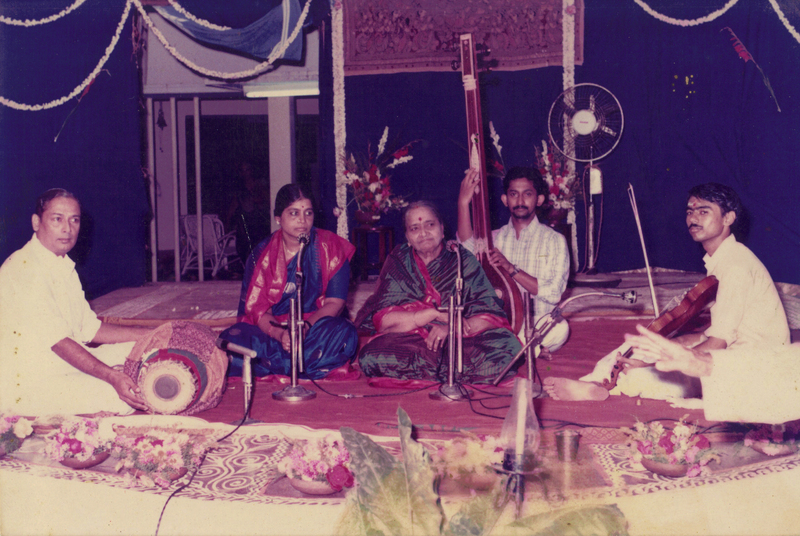 He later received guidance in violin from Vidvan Shri V V Subrahmanyam and in vocal music from Vidvan Shri D K Jayaraman.